You’ll love this delicious Slow Cooker Pulled Chicken with Chipotle Barbecue Sauce, and this couldn’t be easier to make! 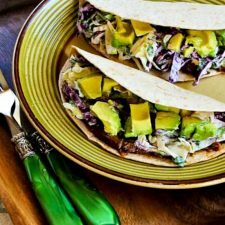 Different variations of pulled-apart chicken, pork or beef with some kind of sauce are at the top of many peoples’ list for favorite slow cooker recipes. 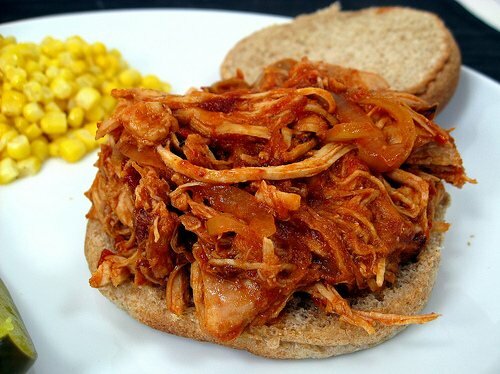 In this case, it was the use of homemade barbecue sauce with no refined sugar, plus the addition of Chipotle Chiles that made this Slow Cooker Pulled Chicken with Chipotle Barbecue Sauce from Elly Says Opa sound extra good. Elly made the sauce the night before, so it only took her five minutes to get this in the slow cooker in the morning before work, and I think this sounds like a dinner the family would love! Get the complete recipe for Slow Cooker Pulled Chicken with Chipotle Barbecue Sauce from Elly Says Opa. I have been in the mood for some barbecued chicken lately! Pam, I thought this one sounded especially good! Thanks Liz! I think Elly is a crock-pot master!